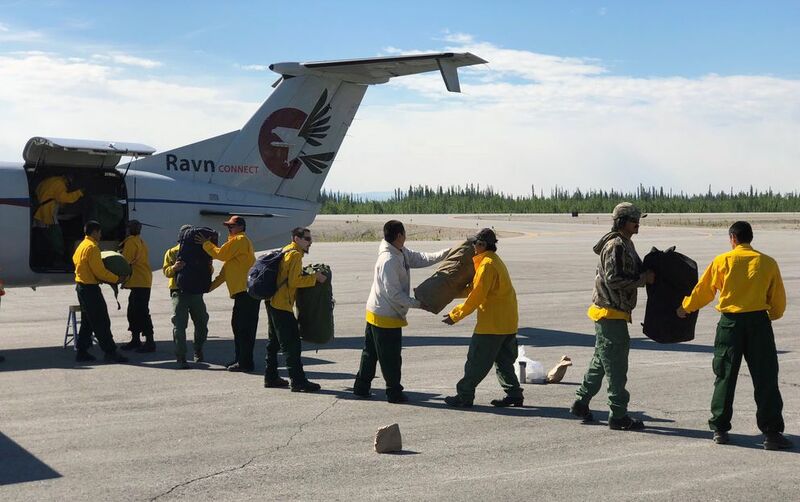 A fire southeast of Tok grew Wednesday, but officials are hoping cooler weather will aid efforts to get it under control. 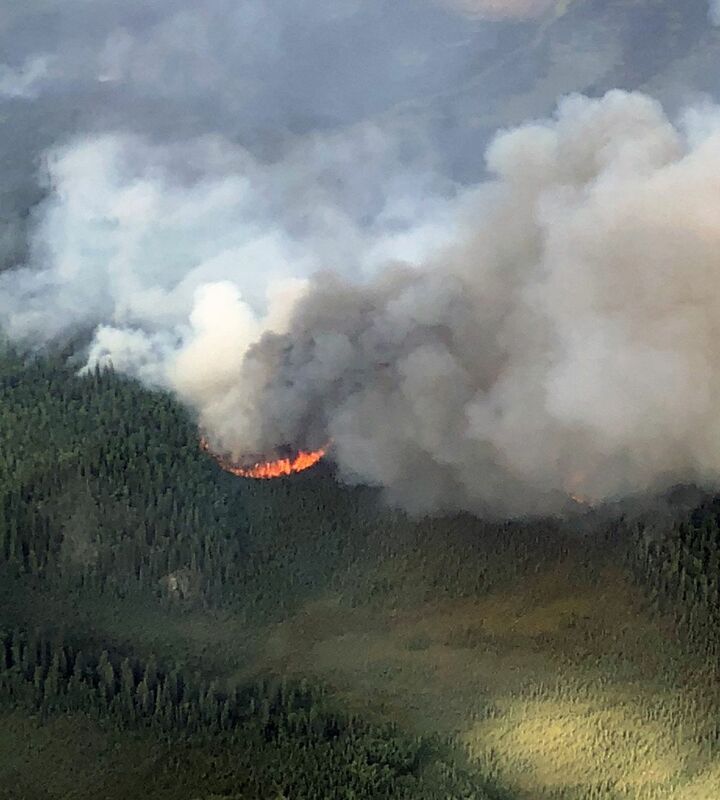 The Taixtsalda Hill Fire is burning in a remote area roughly 14 miles southwest of Northway and 20 miles west of the Alaska Highway, according to an update from the Alaska Division of Forestry. There are almost 160 people fighting the fire, including five Type 2 hand crews, Forestry said. Operations near the fire perimeter are focusing on protecting property and cabins. Structure protection measures are underway on Jatahmund Lake, nine miles southeast of the fire. The fire grew nearly 1,400 acres as of Wednesday night, officials say. Hot, dry weather in the area was forecast to give way to cooler temperatures and higher humidity, fire information officer Tim Mowry said in an email. "They are forecasting rain (in Fairbanks) but say the eastern Interior around Tok may dodge the rain bullet." A burn suspension remained in effect for Tok and the Copper River Basin Thursday.